The following is a list of current weapon systems of the South African Air Force. For weapon system no longer in use, see List of obsolete weapon systems of the South African Air Force. ^ a b c d e f g h i j k l m n o p q r s "The South African Air Force". The Airforce: Current Weapons. saairforce.co.za. Retrieved 24 February 2012. ^ a b c d Campbell, Keith. "Creamer's Engineering News". Denel Dynamics markets high-tech missile offering to SANDF and friendly countries. Martin Creamer. Retrieved 2 March 2012. ^ "SAAF funds Umbani". DefenceWeb. 6 September 2011. Retrieved 18 June 2012. ^ a b c d e f "General purpose and fragmentation bombs (South Africa), Bombs - Unguided". Jane's Air-Launched Weapons. Janes Publishers. Retrieved 24 February 2012. 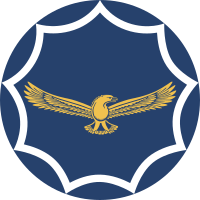 ^ "South African Air Force (Unofficial)". F2 20mm Cannon. Retrieved 24 February 2012. ^ "South African Air Force (Unofficial)". Mauser BK 27 27mm Cannon. Retrieved 24 February 2012. Wikimedia Commons has media related to South African Air Force. This page was last edited on 28 March 2017, at 18:29 (UTC).